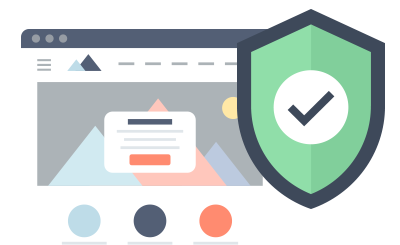 SSL Certificates have become imperative in website management, since they supply a level of protection that each website needs nowadays. By encoding confidential info such as payment info or sign in credentials, SSLs give both internet site owners and customers ease and comfort and ensure that no transaction or members' area is compromised. Plus, SSLs are a major search engine results position factor. At One 4 All Network, you'll be able to obtain standard and Wildcard SSL Certificates at a reasonable cost. They all have strong encryption and also a 30-day MBG. A free re-issue is provided as well, should you need it. The 256-bit encryption requires so much resources and time to be hacked with a brute-force attack that it's believed to be nearly impossible. You will have a refund within 30 days if you are unsatisfied by our services. No question asked. Our tech support team is online for you 24x7 to reply to your questions or help requests. With this hosting solution, you can easily build an elegant business site. The perfect website hosting plan for a small or medium-sized Moodle-driven e-learning portal.